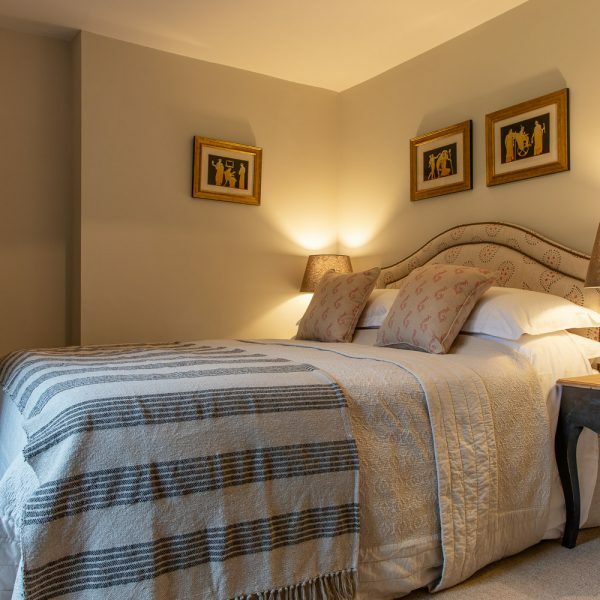 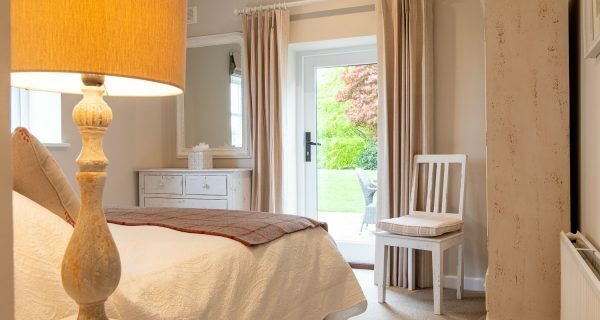 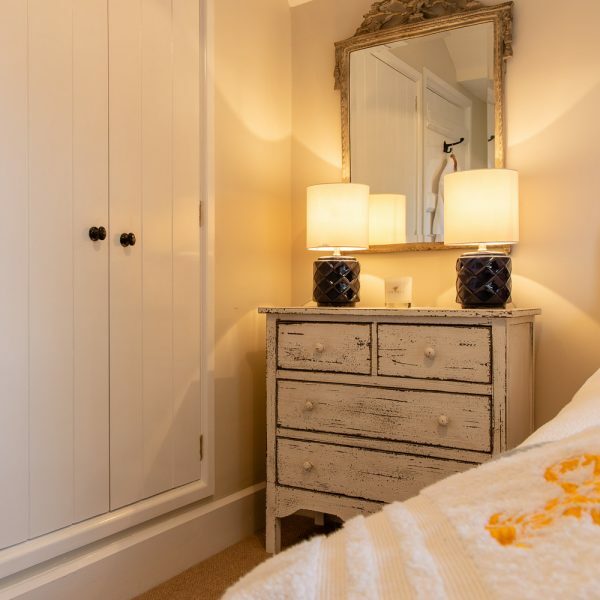 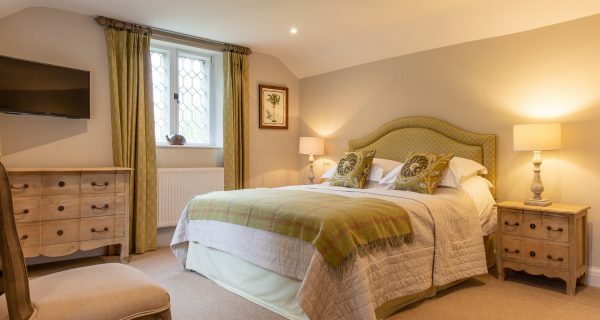 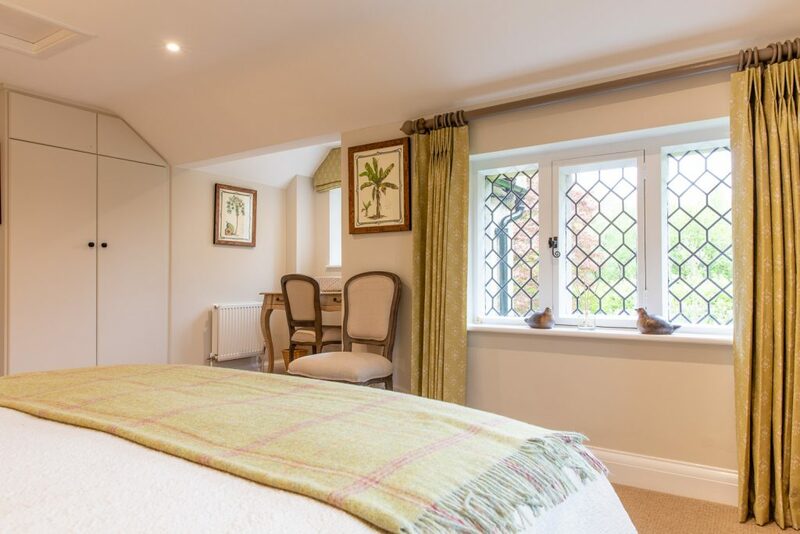 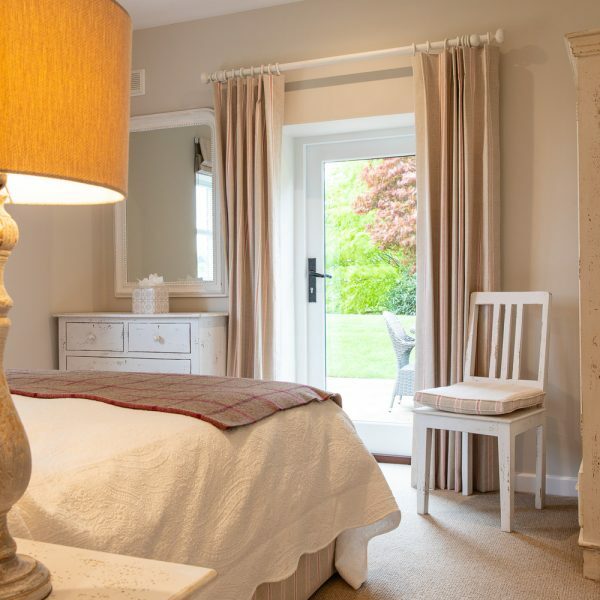 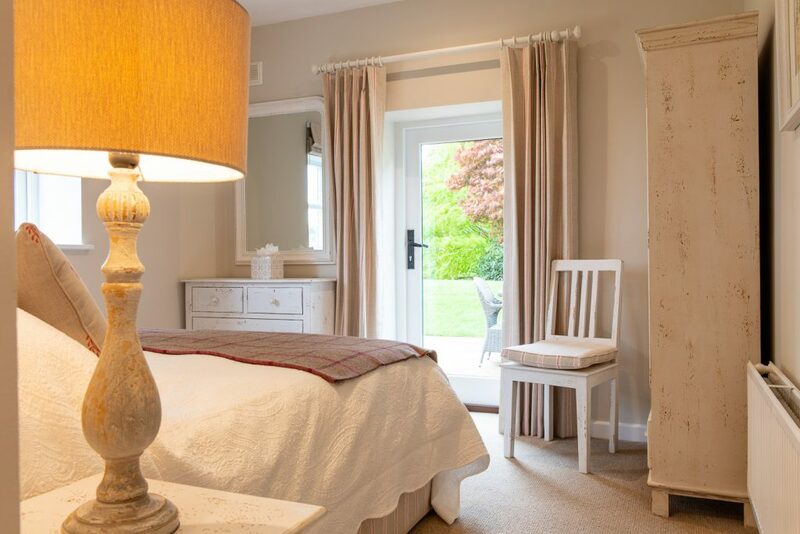 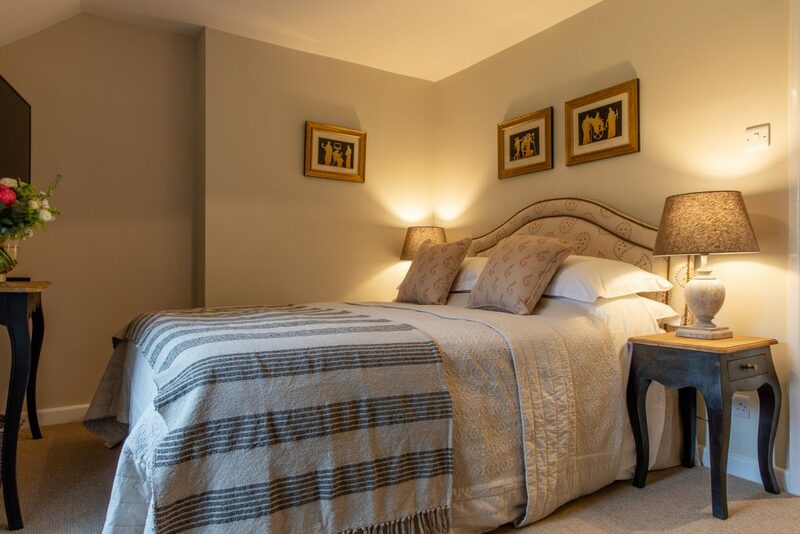 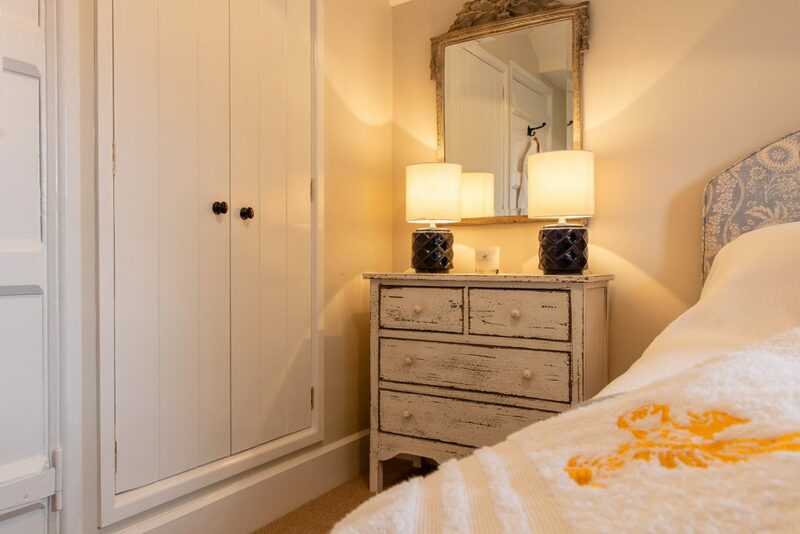 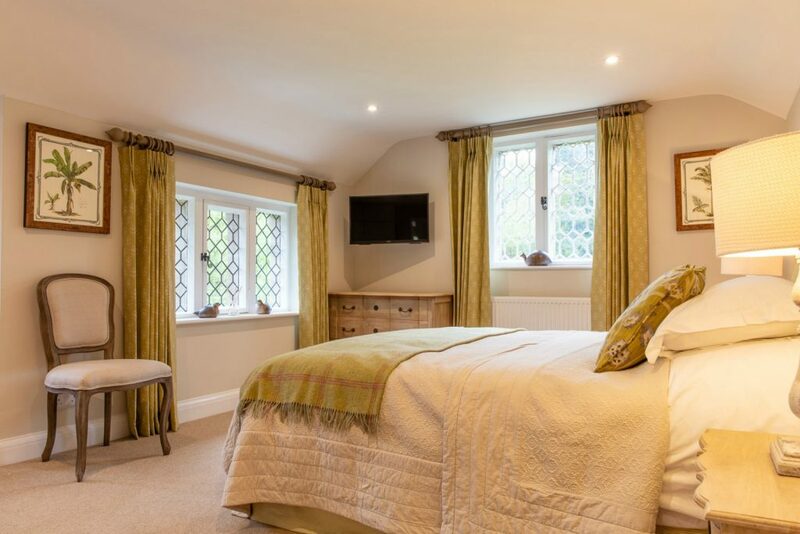 The Master Suite enjoys a double aspect with views of the stunning surrounding gardens and woodland. 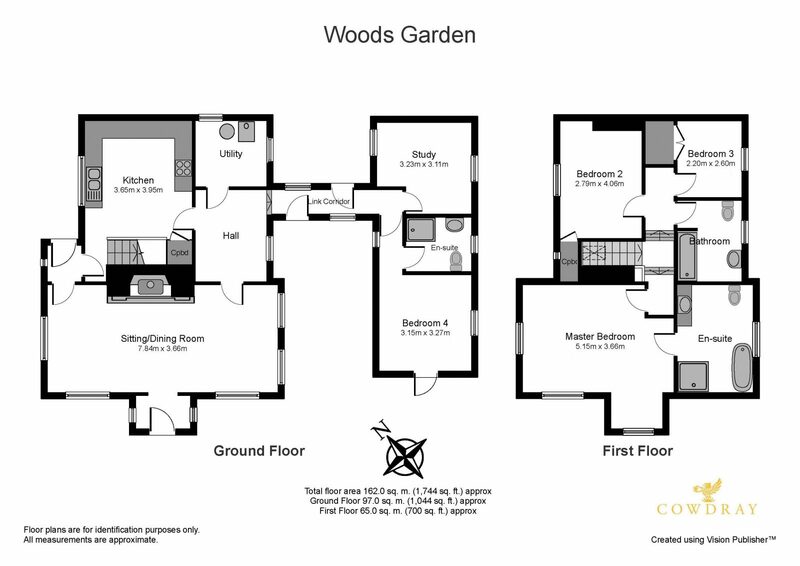 There is built in wardrobe space along with an en suite bathroom with roll top bath, spacious shower and underfloor heating. 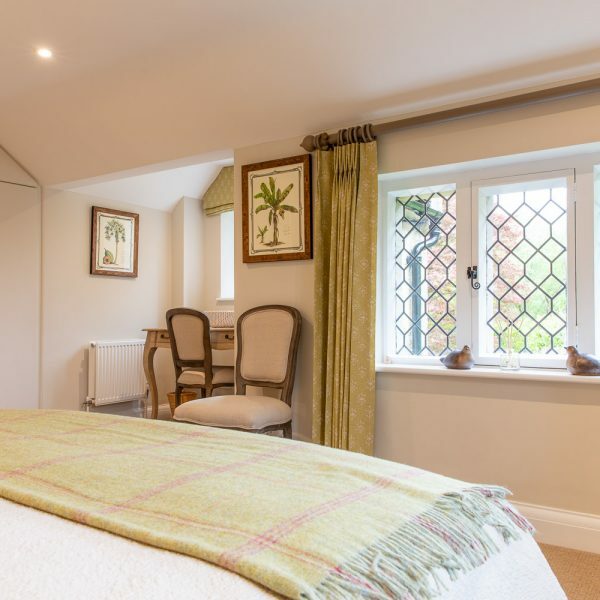 A beautiful double room with views out over the front of the property. 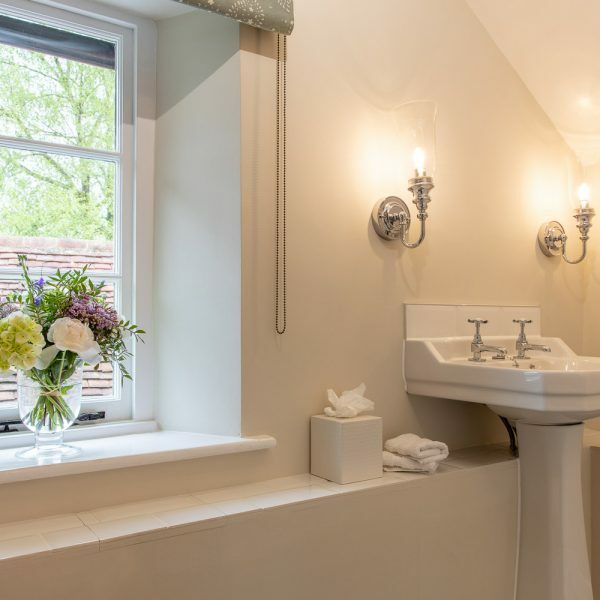 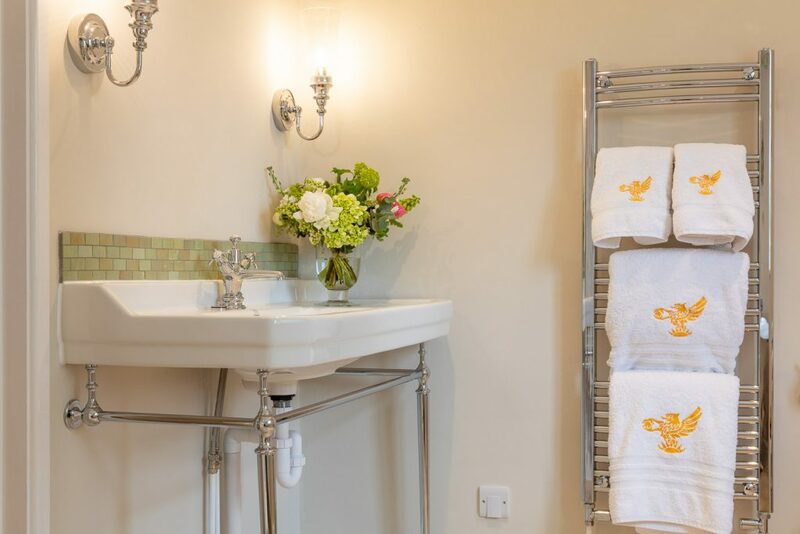 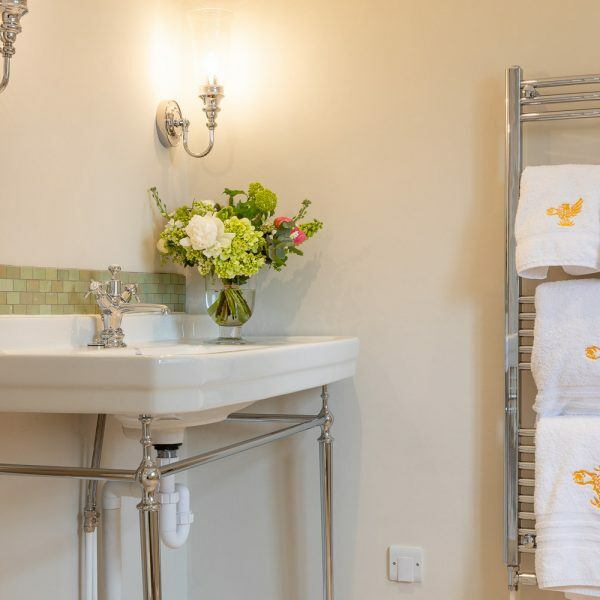 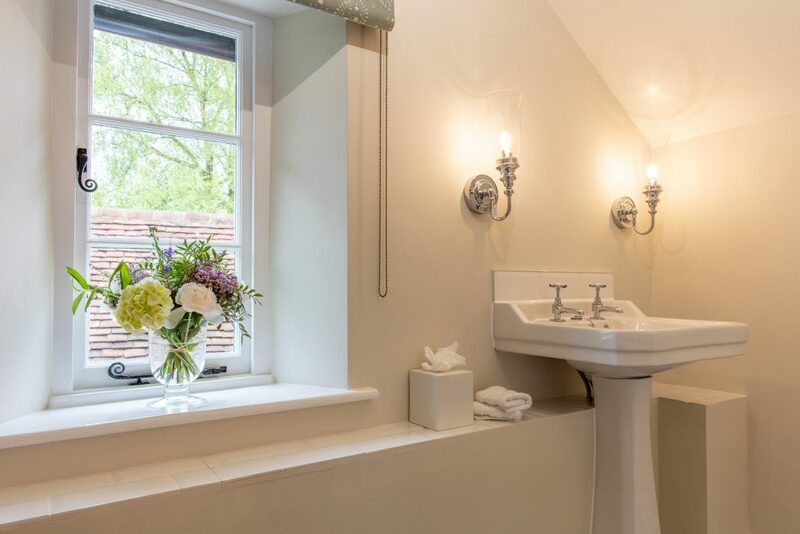 Across the landing is a spacious family bathroom with bath and overhead shower, designed to a stylish finish with mosaic floor tiles and under floor heating. 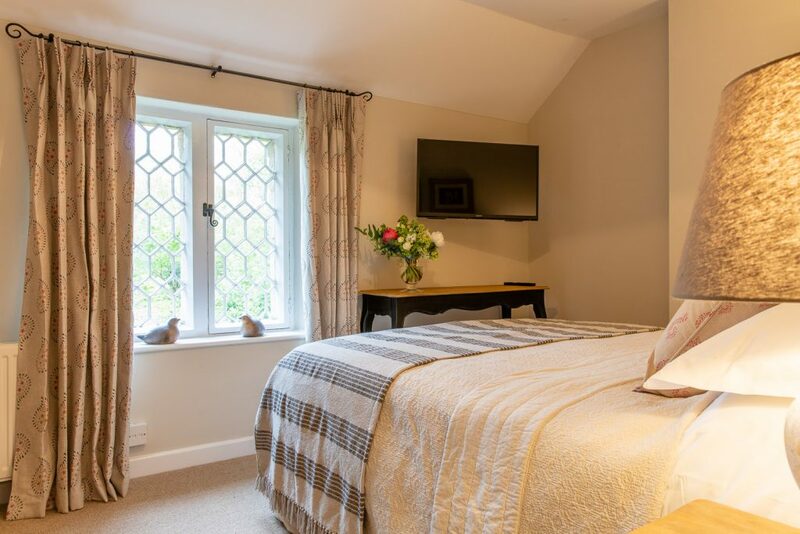 This comfortable ground floor double bedroom has views over the rolling hills and access via a glass door onto one of the two sun terraces. 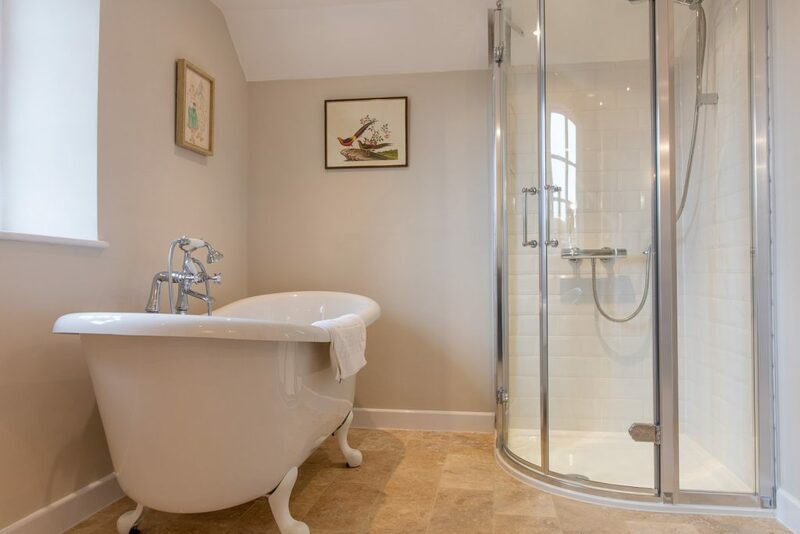 This room has an en-suite shower room and underfloor heating. 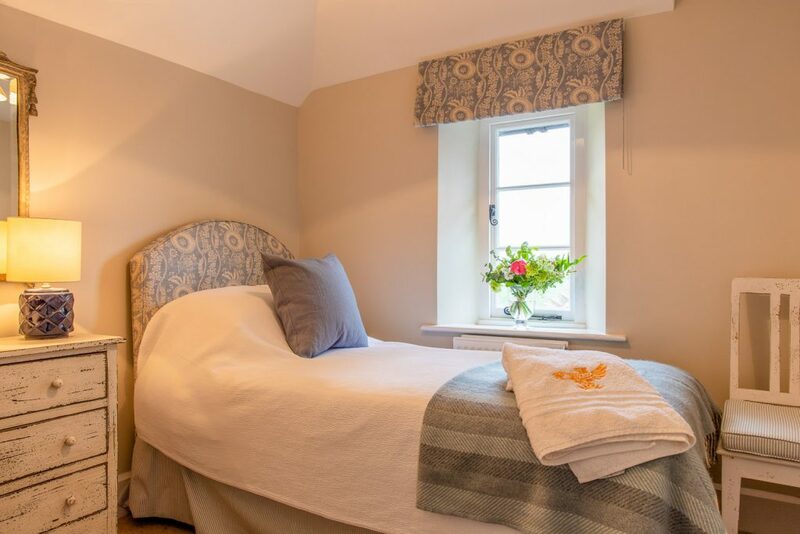 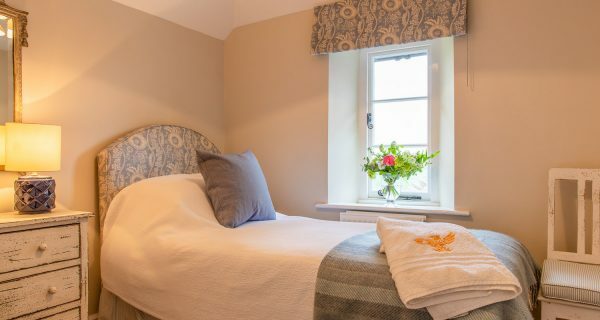 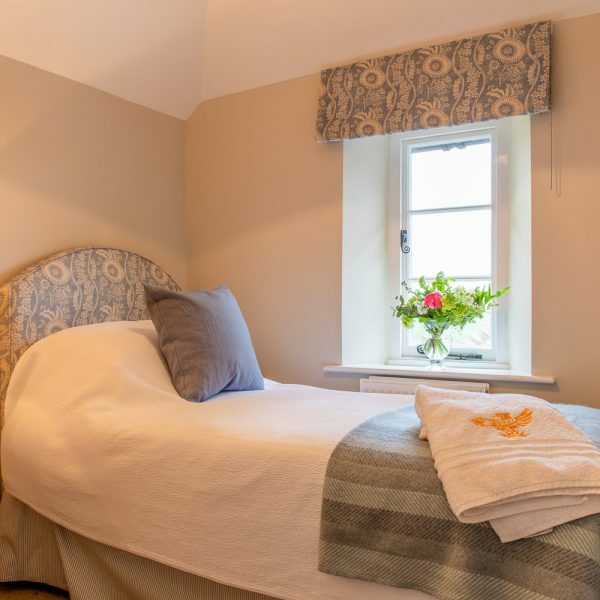 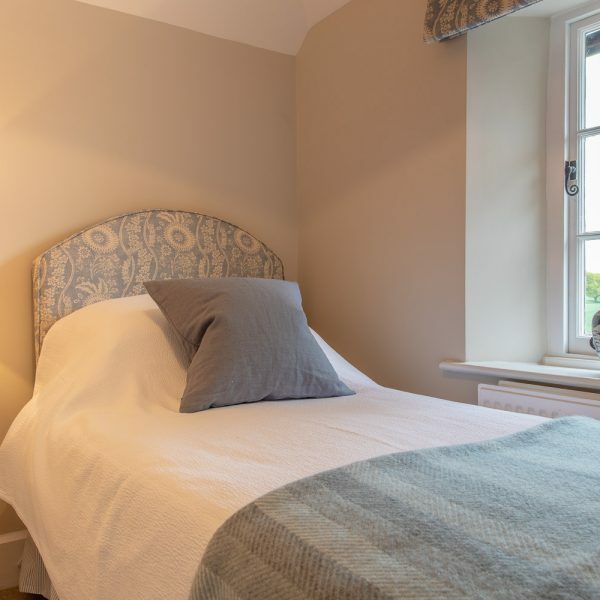 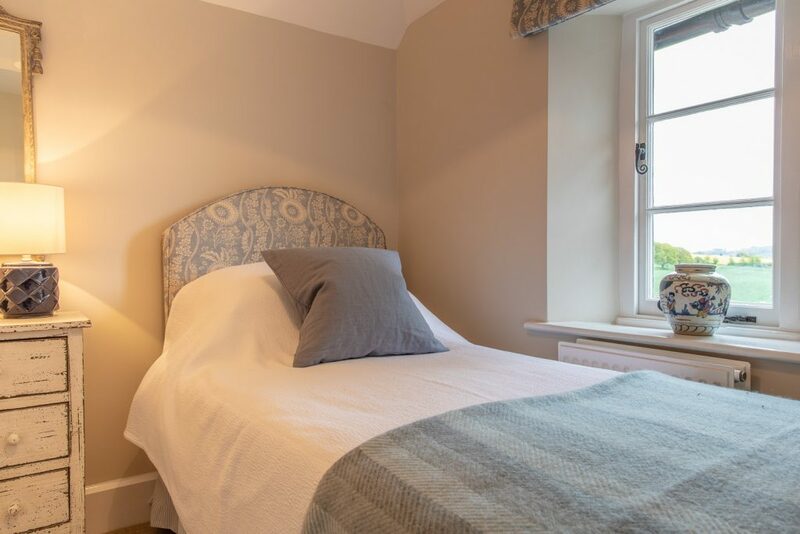 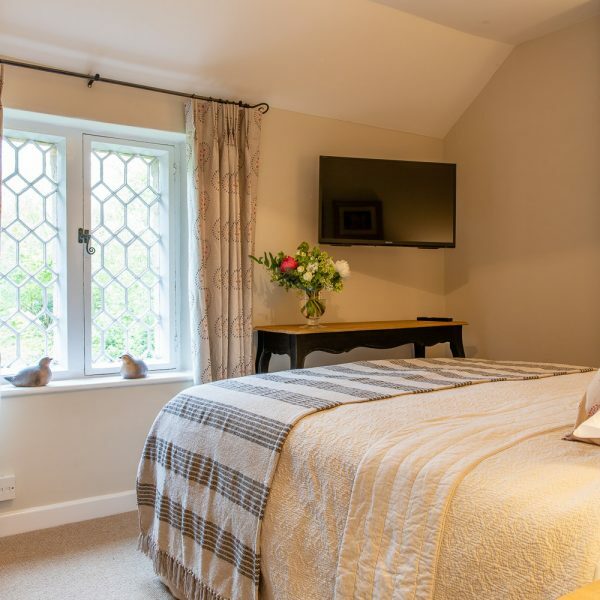 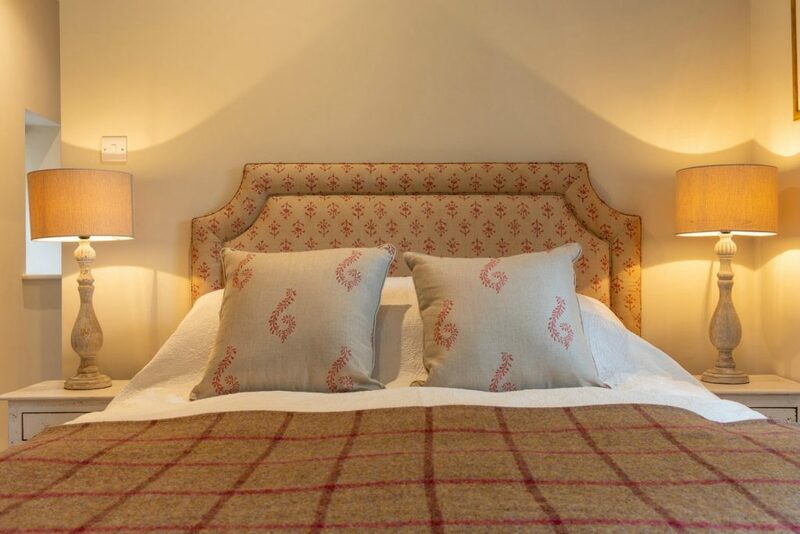 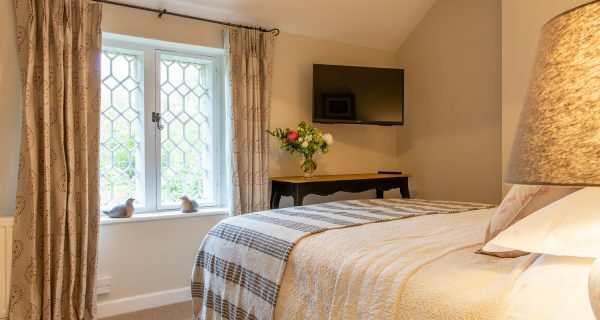 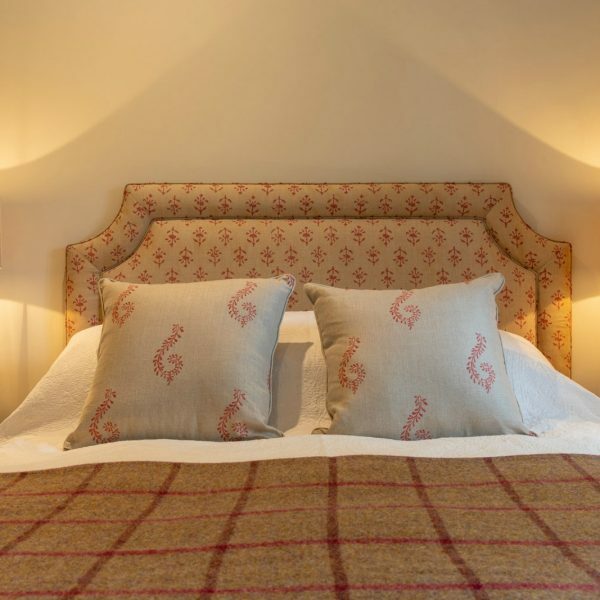 This cosy single room has views out over the garden and picturesque surrounding farm land. 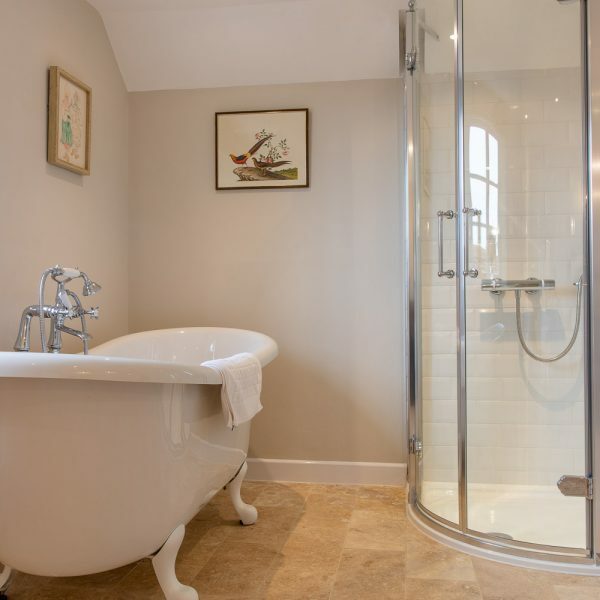 There is a shared bathroom with bath and overhead shower located next door. 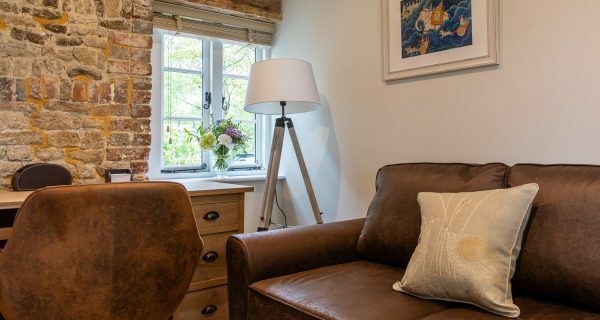 This study room has a large wooden desk along with sofa bed and flat screen TV. 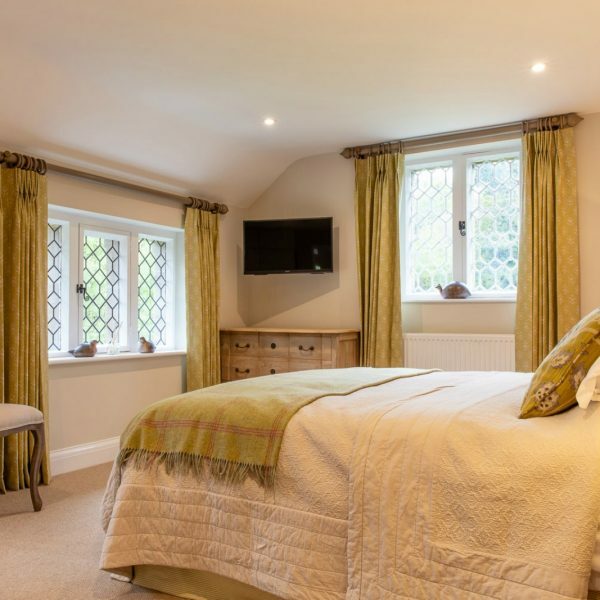 Makes for the perfect snug/fifth bedroom or can be used as a study if required.